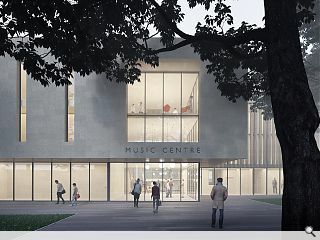 The University of St Andrews have previewed an £8m music centre designed by Flanagan Lawrence architects ahead of a public exhibition of the plans. 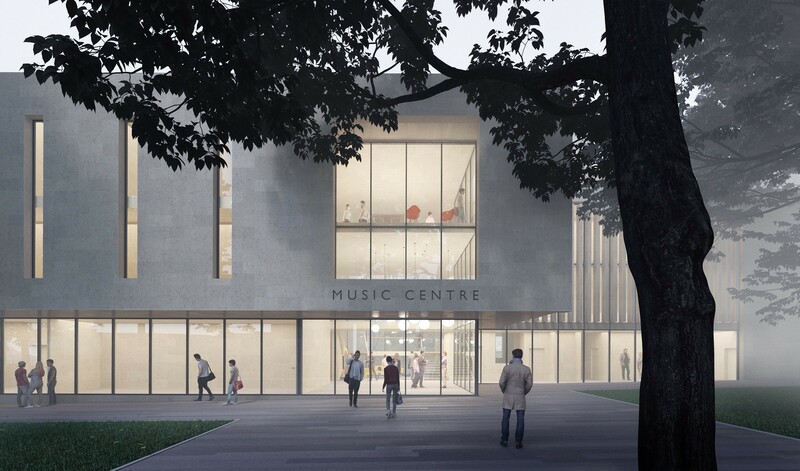 Outline proposals for the Queens Terrace build, overlooking St Mary’s Quadrangle, call for creation of new rehearsal and teaching spaces alongside a dedicated rehearsal studio, recording suite and library on a brownfield town centre plot. A design brief called for the restoration of an historic quad and preservation of historic features on St Mary’s Quadrangle while ensuring any new additions complement their surroundings. An exhibition detailing the scheme will be held at the Byre Theatre from 22-27 January between 10:00 and 18:00.